There aren't many needing help to ID an American Robin. 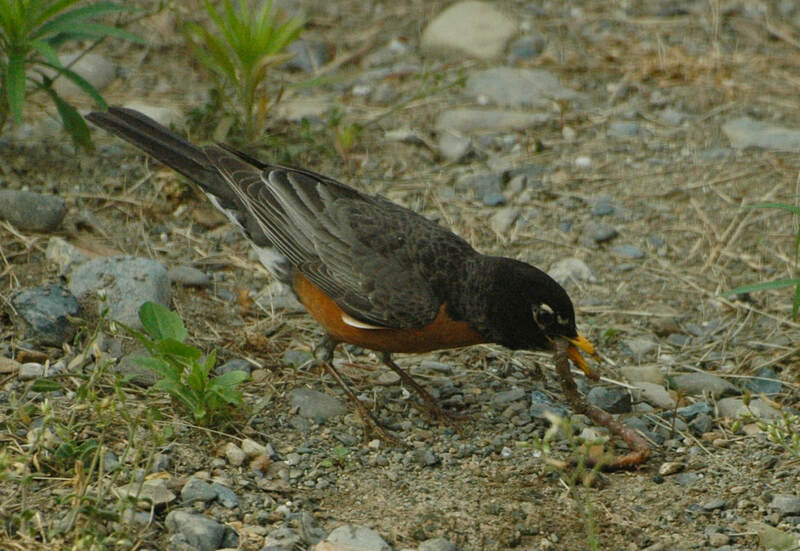 They are one of most familiar birds - hopping about our yards searching for earth worms. This particular robin looks like a male (they have blacker heads and their colors are richer than females). Notice the white spots near the eye. Robins use mud and grass when building their nests which often makes them heavy-duty structures that remain in place a good long time.